With our products we make individual energy and water consumption transparent. as well as the relevant installation systems. We bring the energy turnaround to our customers and the residents. With our ista energy data management system, all consumption data are visualised using smart radio technology on an online portal or by app and made available to the user every month. Everyone therefore becomes an independent energy manager and can individually control their consumption. With very low investment, energy, costs and CO2 can be significantly reduced – depending on individual requirements. We achieve further efficiency gains in buildings by offering supplementary services. 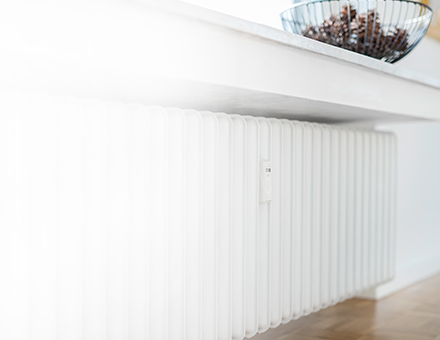 They include, for example, our energy contracting service, which we provide together with partners in Germany or our Heating ECG service, which checks and monitors the performance of central heating systems. ista gives people safety in their own four walls. With our smoke alarm devices, we help to save lives. If the user opts for radio remote maintenance of our smoke alarm devices, remote maintenance can be performed every month without anyone entering the apartment. Our drinking water analysis offers protection against potential risks in drinking water. With our humidity sensors we help residents to maintain a good room climate in their apartments.